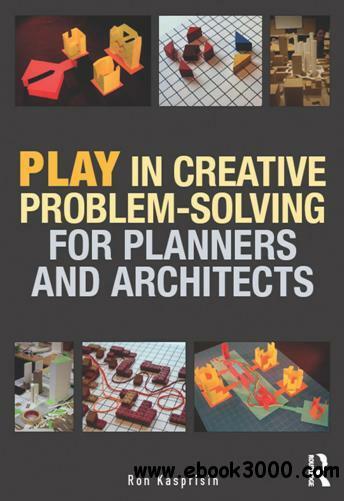 In Play in Creative Problem-solving for Planners and Architects, 'play' is defined, explored and demonstrated as a critical catalyst in creative problem-solving processes. The book defines the current psychological research into play and creative problem-solving, explores the necessary integration of the two, and exemplifies for students and practitioners the use of play in creative endeavors; and the role that play serves in separating linear from creative problem-solving approaches. Play is explored regarding its elements (tools, skills, environment), characteristics (a free activity without failure) and attitude as it relates to and activates the creative process with the focus on urban design, planning, architecture, and landscape architecture. The book re-establishes the whole mind-body thinking process of play as a means of object-learning; to provide designers and planners with alternative ways of design-thinking; and to challenge the over-utilization of digital technologies in creative processes. Creative problem-solving requires an appreciation for ambiguity, uncertainty of outcome, complexity that leads to the discovery of novelty and innovation. The book incorporates examples and exercises in play activities related to the design and planning fields, and exercises related to play-tools and skills for students and professionals. It also defines terms used in play and creativity psychology; provides examples and structure for play and creative problem-solving activities; describes the type and use of appropriate play-tools; contains an extensive bibliography on play and creative problem-solving texts; and provides significant illustrations making it fundamental reading for students and professionals in urban design and planning fields.